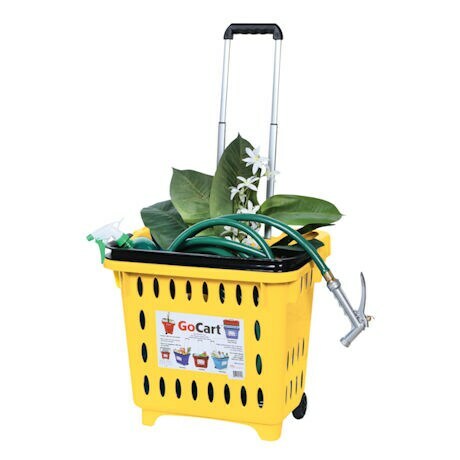 Whether you're working at home, in the garden or out running errands, the GoCart™ has you covered. 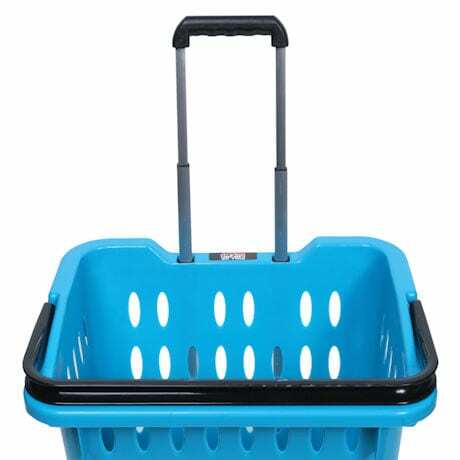 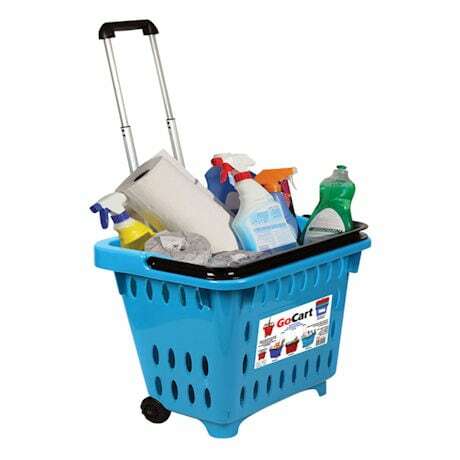 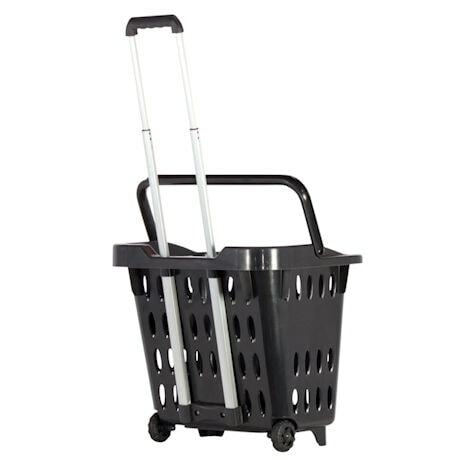 Sturdy basket carries up to 100lbs, while heavy-duty tire tread easily navigates any surface. 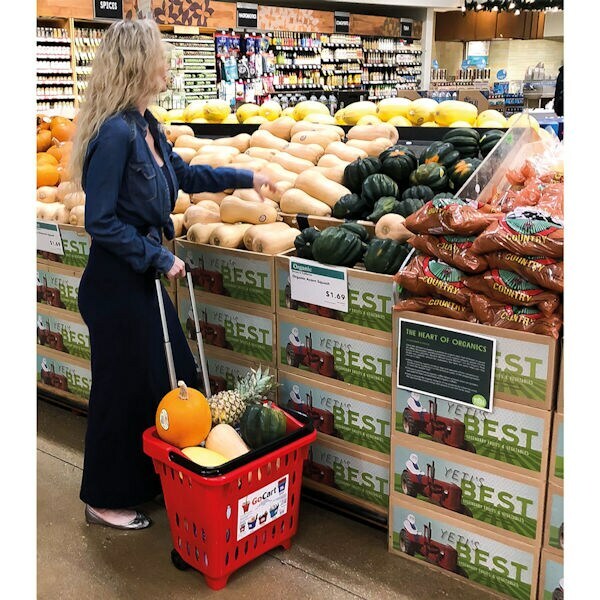 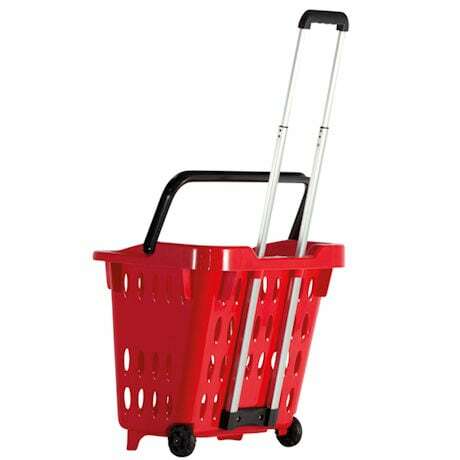 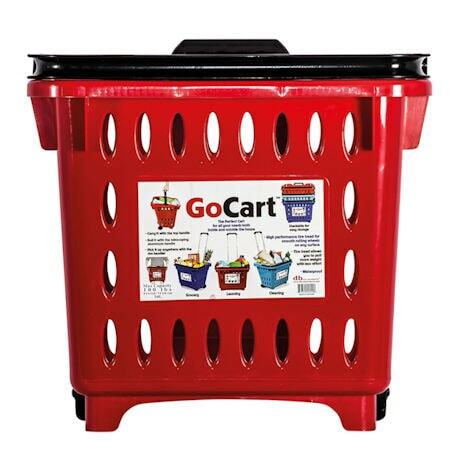 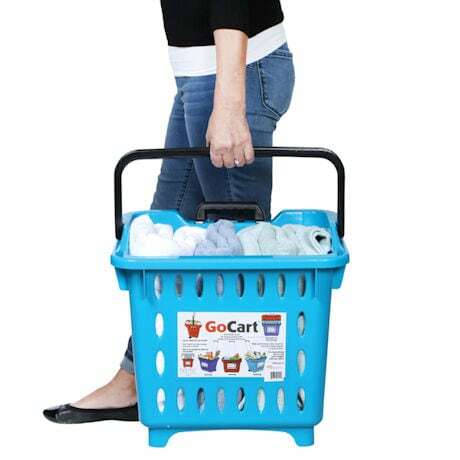 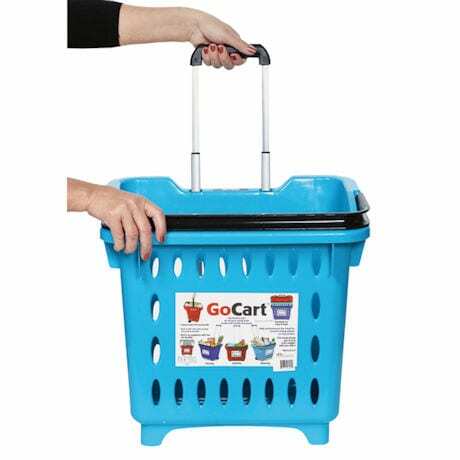 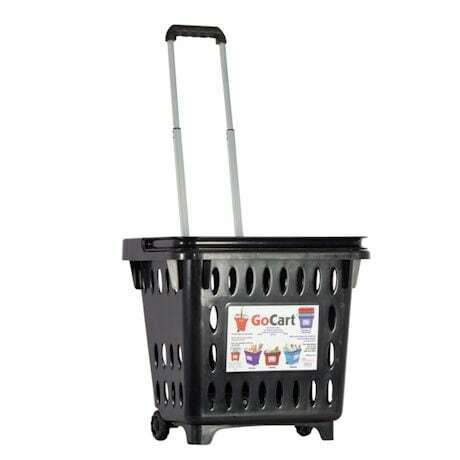 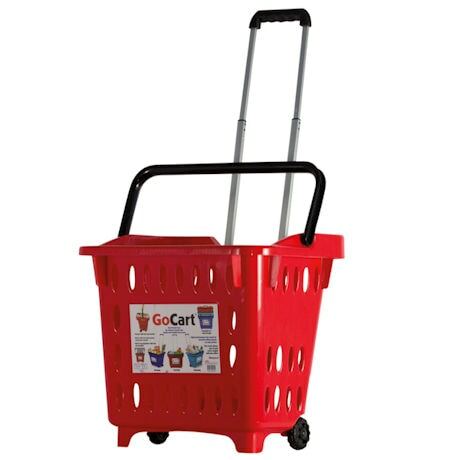 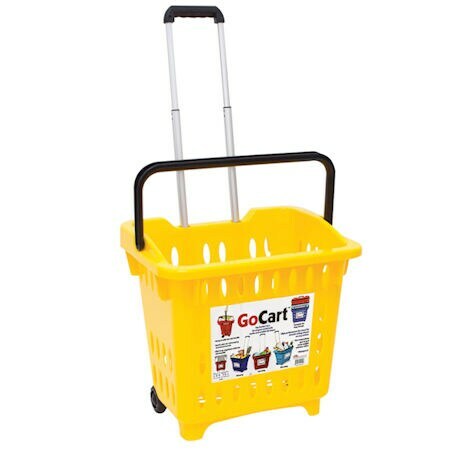 Pick the GoCart™ up like a basket with the folding handle or roll it behind you with ergonomic telescoping, 36" high top handle. 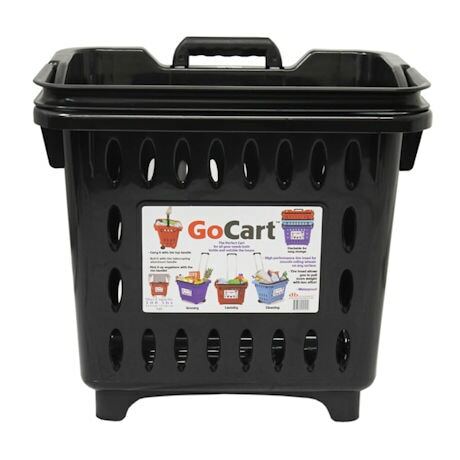 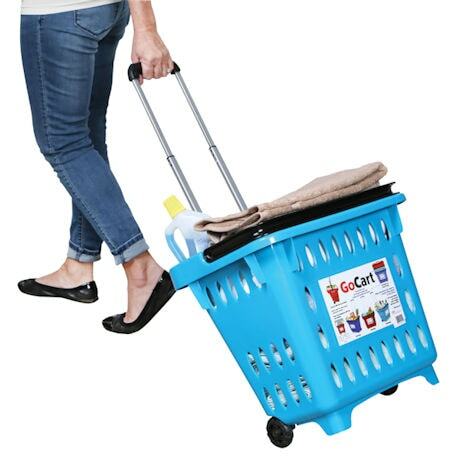 Stackable GoCarts™ make storage a breeze! 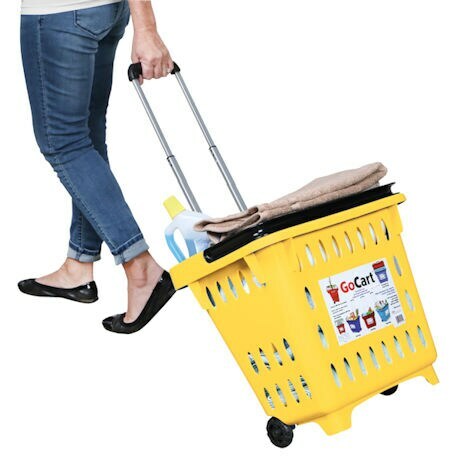 14" x 18" x 18". 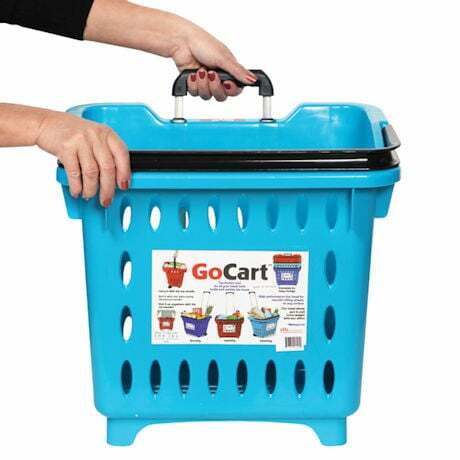 Tough, durable plastic. 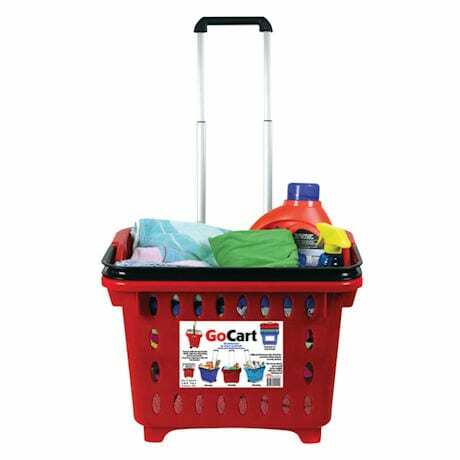 Colors: Black, Red or Teal.